On Monday, June 2nd we will be rolling out one of the biggest advances in sleep therapy delivery to our patients. 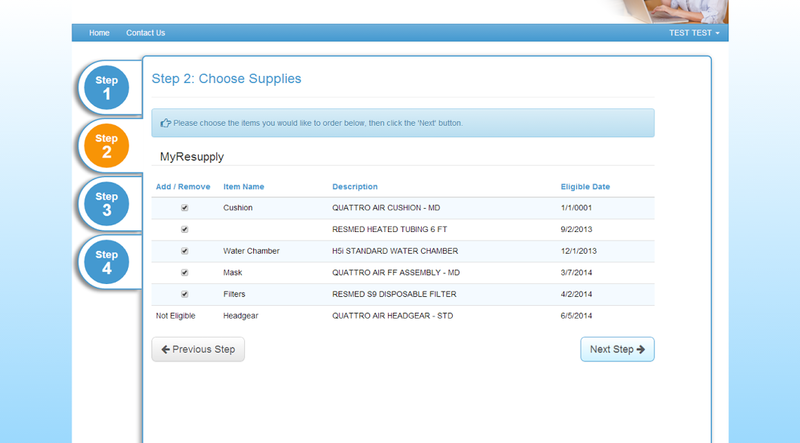 We will be launching our MyResupply web portal, allowing our CPAP customers to reorder their supplies with just one click, like they were ordering a book from Amazon. 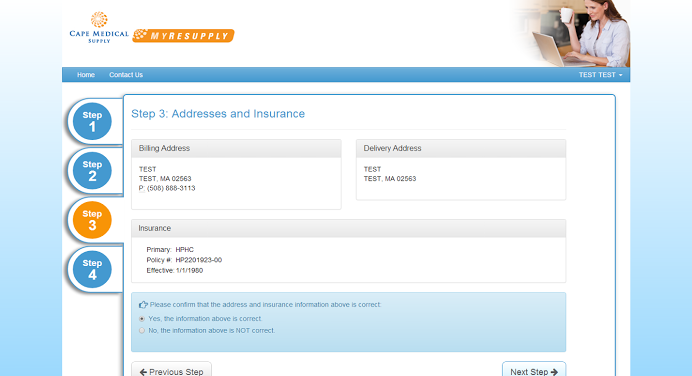 Developed in partnership with our friends at Brightree (who provides our integrated inventory management software), MyResupply will drastically cut down the time it takes our patients to get the medical supplies they need, helping us get the order processed and on the truck faster than ever before. We're extremely excited to be launching this system for many reasons. It's one of the most advanced in the world at what it does, and the degree of automation has us intrigued as to the future possibilities. It automatically interfaces with insurance providers and Medicare, only allowing patients to reorder when their insurance allows for it. This cuts down on accidental reorders and helps us prevent fraud while streamlining the billing process for the consumer, completely eliminating their need to interface with their insurance company. The best part of the system is its ease. All it takes to sign up is an email address. Take a peek at MyResupply, the next generation in CPAP therapy. 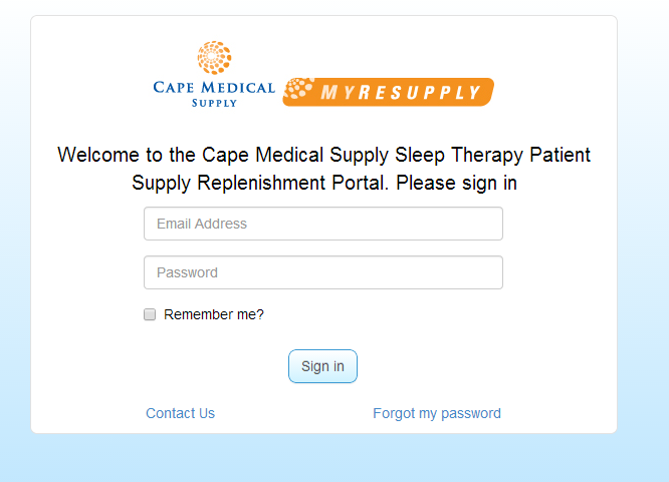 If you're a Cape Medical customer and not signed up for this service, email us at MyResupply@CapeMedical.net. If you're looking to switch to Cape Medical Supply, ask your insurance company about making the switch! Remember those balky early online healthcare portals? Well this isn't one of those. Sleek, easy to use, and just like signing into anything else on the internet. No patient number, nothing complicated. Just your email and password. 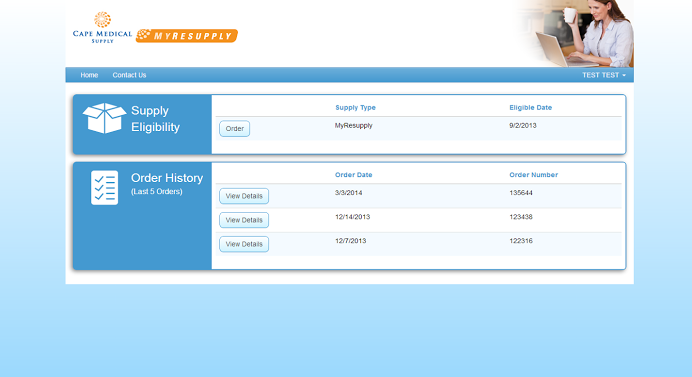 Easily check your reorder eligibility, track your order history and make sure that you're getting the right supplies. Eligible and need supplies? 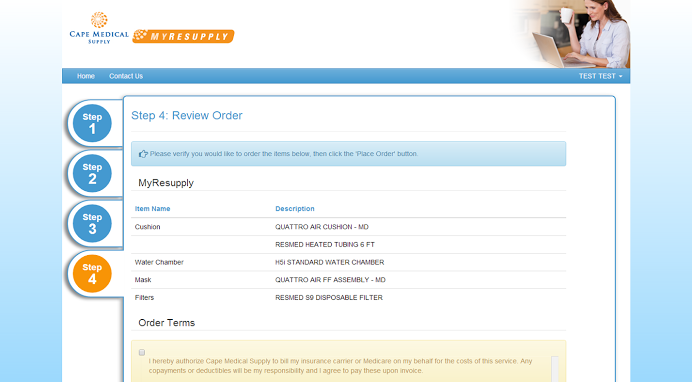 A new order is just one click away - we've already made your cart for you. Double-check that you're seeing what you need. No accidental ordering here - if you're not eligible for a piece of equipment the system won't allow you to add it to your oder. Our shopping cart is just like others across the web. We worked hard to make it the most user-friendly system out there, and we think we've met that goal. Just check that your information is correct - we'll handle the rest. See something wrong? Change it like you would any other account online. Keeping your own records has never been easier. This is everything you need for your taxes, insurance, and anything else. Family accounts can be linked so caregivers can easily manage an entire family's medical records from one location. We do our best to give accurate shipping estimates, and can often ship faster than the stated time.